The present communication examines how the dynamics of the double helix affects the Frenkel excitons corresponding to the low-energy absorption band of DNA. Two types of oligomers, (dA)n.(dT)n and (dAdT)n/2. (dAdT)n/2, are studied theoretically, in the frame of the exciton theory in combination with quantum chemical calculations. 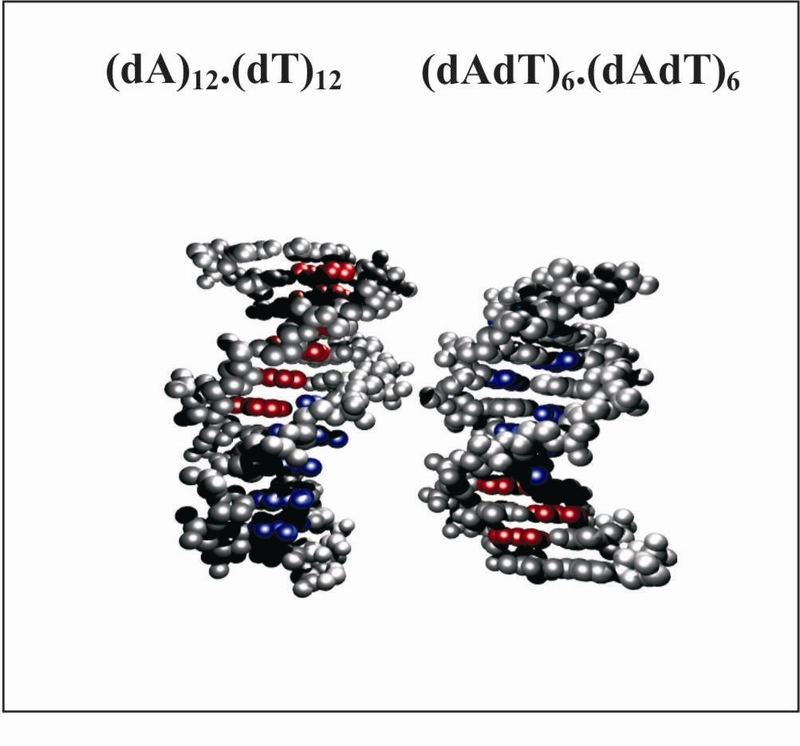 The properties of the exciton states (energy, oscillator strength, degree of delocalization, “anisotropy”…) found for canonical B-DNA geometries are compared to those obtained for conformations extracted from molecular dynamics simulations. It is shown that although structural fluctuations reduce both the mixing between different monomer transitions and the spatial extent of the eigenstates, excitations still remain delocalized over several bases. The presence of alternating base sequences makes the eigenstates of the double-stranded oligomers more sensitive to disorder. All these effects arise from a variation of the coupling terms, the diagonal energy being only slightly altered by the structural fluctuations. The experimental absorption spectra presented here corroborate the theoretical results according to which the absorption of (dA)n.(dT)n is centered at higher energies than that of (dAdT)n/2.(dAdT)n/2. Finally, it is shown that, in contrast to what is commonly admitted, the formation of collective excited states in double-stranded oligomers is not expected to induce large spectral shifts with respect to a homogeneous mixture of monomers.